Ads in our local newspaper have consistently been the #1 source of referrals to my law firm. Why should I invest money in promoting my practice in other media, since this strategy has been so successful? Have you seen what's been happening to the newspaper business lately? It's all well and good for you if your local newspaper is an excellent source of referrals, but given the state of the industry, you shouldn't be surprised if it goes out of business within a couple of years (or, more likely, migrates in much-reduced form to the Web). At that point, you will have lost your #1 source of referrals, and there won't be any other local paper in town that can pick up the slack, since everyone knows that print is a doomed medium. Speaking more broadly, though, it's never a good idea to put all your eggs in one basket and promote your law firm via one particular medium to the exclusion of all others. To take the example of newspapers again, you are probably reaching an older, less dynamic audience, since many people in their 20s and 30s aren't in the habit of reading newspapers, picking up their information online instead. The fact is that you are excluding a huge segment of the population from your marketing efforts, and a segment that will—in a few years—comprise your major pool of potential clients. 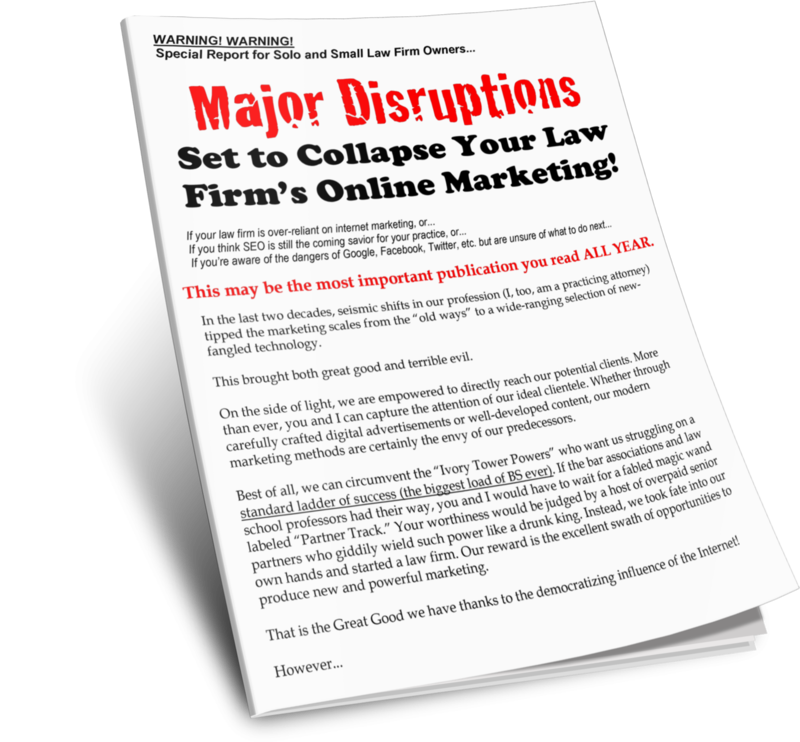 Other law firms, which advertise on the Web or on social media, will have a leg up when that demographic becomes ripe for the picking! At Great Legal Marketing, we know that it's never a good idea to become too monochromatic in your marketing and promotional campaigns: diversity is important, since you never know where your next referral will be coming from (or, more to the point, what your next big source for referrals will be).